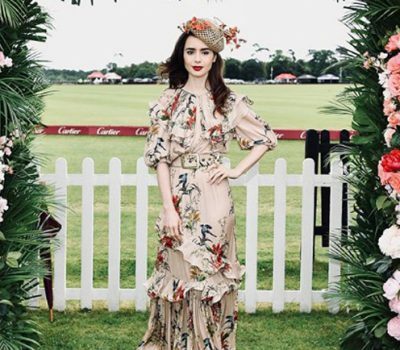 “Florals? For Spring? Groundbreaking.” Yes, visions of Miranda Priestly (a.k.a. Meryl Streep) in The Devil Wears Prada, dance in our heads when we think of garden variety prints around this time of year. But let’s face it—Spring and florals do go hand in hand. Here, we plucked a few petal covered pieces into one trendy arrangement. 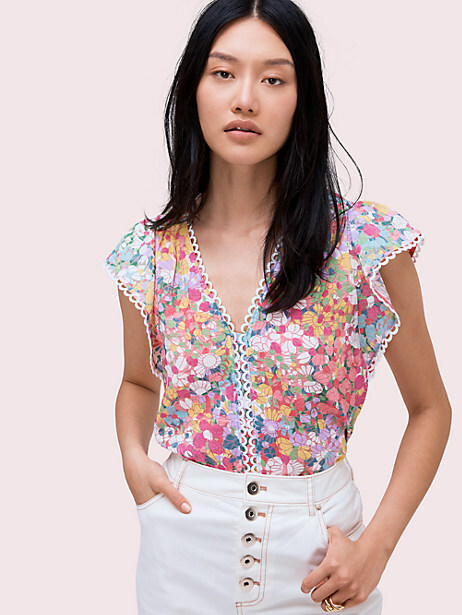 Kate Spade Floral Dots Burnout Top, $358: Dainty and flouncy feminine details, like the flutter sleeves and scallop embroidery, bring this top to life (no watering required). 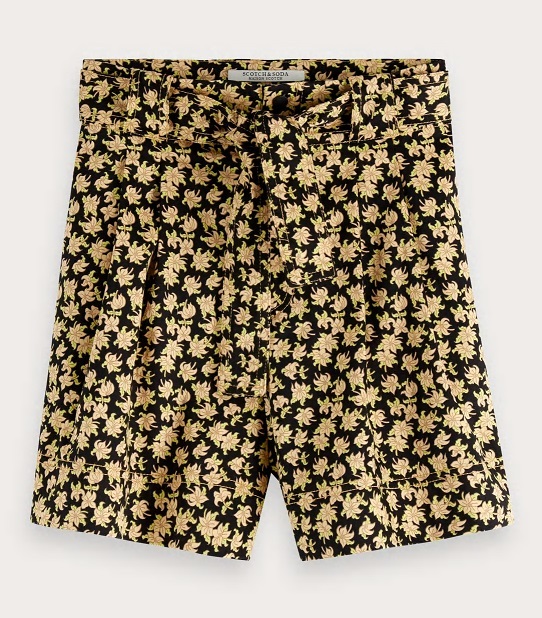 Scotch & Soda Printed Wide Leg Shorts, $159: These go-to shorts offer a bouquet of pairing options. 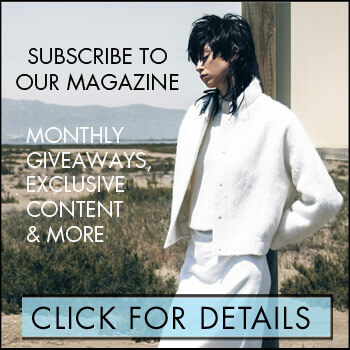 Dress them up with a body suit and blazer, or dress them down with a tube top, sneakers, and oversize sunnies. 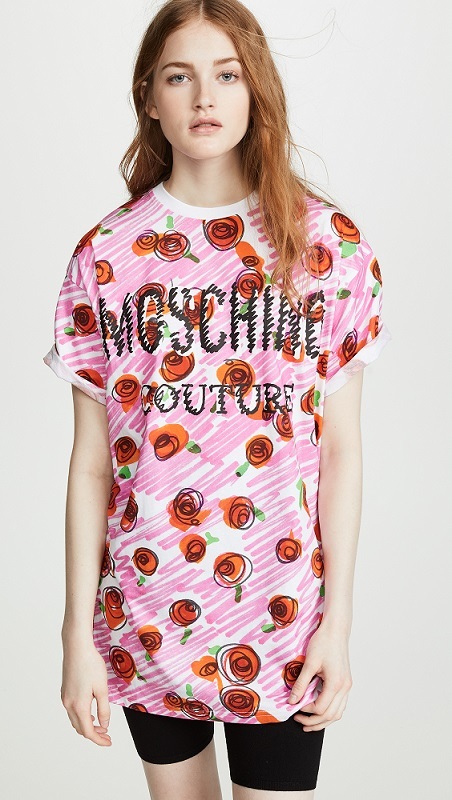 Moschino Scribble Rose Logo T-Shirt Dress, $659: Get creative with this tee dress that ticks off two trend boxes with its wild rose and artisanal style. J. 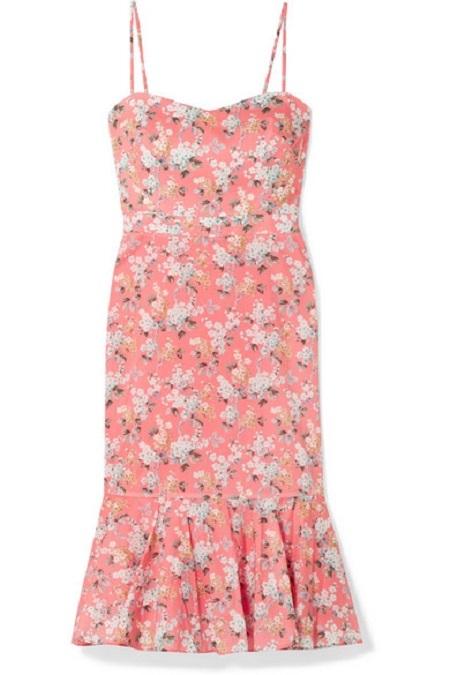 Crew Tana Floral-Print Cotton-Poplin Dress, $200: This dress is super sweet with its sweetheart neckline and figure-hugging silhouette. Totally approved for bridal showers, lunch dates, or spilling the tea (time). Madewell Apiece Apart Ostrea Floral Tank Jumpsuit, $659: Comfy and cute, a jumpsuit makes the outfit, because it’s kind of the whole thing! Keep your denim jacket close for layering up on chilly nights.